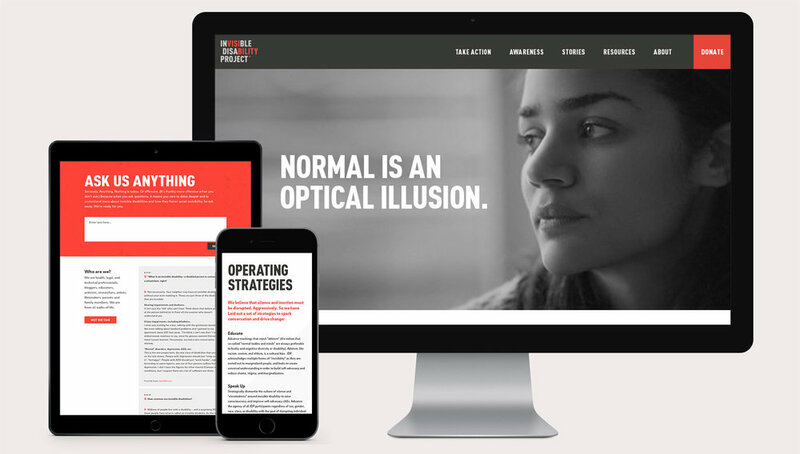 Website for an edgy non-profit organization focusing on invisible disabilities. 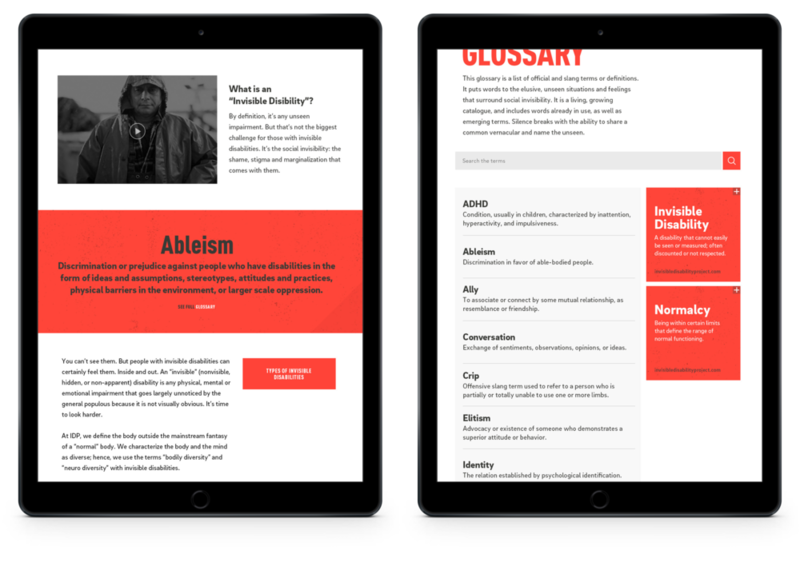 Web design for an edgy non-profit organization with a goal to create awareness about invisible disabilities. A visually alarming design system lends a blunt directness to a serious subject matter. Large and heavy display headers paired with round humanistic body text. Electric red and charcoal on stark white. Gritty textural backgrounds and weighted graphic treatments. These elements came together to create urgency while remaining approachable enough to foster education. Larger than life messages sweep over the screen and become abrupt super graphics. A slightly animated diagonal element guides you down a page of graphic content. Video stories are peppered throughout the site and link out to a filtered landing page. An on-hover name treatment speaks to the dual identity of invisible disabilities.